Whether you're traveling to Pittsburgh to spend time with family for Thanksgiving, get away from it all for the holidays, or you're stuck working, there are plenty of great activities, events, and dining destinations worth exploring on your trip. 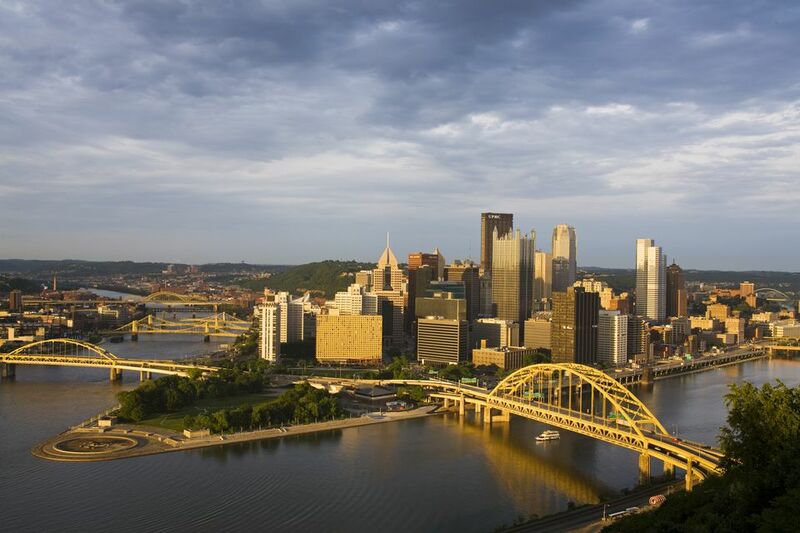 From fun-filled festivals perfect for a day spent with family and friends to volunteer opportunities across the region, there's no shortage of things to do in Pittsburgh this year. The weather in Pittsburgh can be quite chilly and wet during Thanksgiving. Traditionally, temperatures over the holiday week range from highs between 42 and 55 F and lows between 22 and 30 F. Additionally, snow, ice, and sleet have all fallen on Thanksgiving in the past, so be sure to check the weather before you start planning for your trip so you can pack appropriately. WXPI Holiday Parade: Featuring dozens of floats, local high school bands, equestrian units, and some of the city's favorite radio and TV personalities, this annual parade is the biggest event of the month and takes place on Thanksgiving day. Turkey Trot: This annual event also takes place on the holiday itself. Hosted by the local chapter of the YMCA, this annual race for charity features a 10K for adults, 5K for families, and 1K for children and all guests are encouraged to dress up like turkeys in honor of the holiday. Winter Flower Show and Light Garden: Starting on the day after Thanksgiving, the Phipps Conservatory and Botanical Gardens open its winter exhibit, which features artful LED light displays with detailed props, decorated trees, and more than 2,000 poinsettias. Comcast Light Up the Night: This festival takes place at various venues in downtown Pittsburgh on the Saturday before Thanksgiving and features a variety of popular artists on four stages as well as the Annual Tree Lighting and Santa's Arrival at the Oxford Centre. Kennywood Holiday Lights: Opening night takes place on the day after Thanksgiving at this traditional amusement park, complete with fireworks and live music. After enjoying some classic rides, you can stroll through over two million Christmas lights strung up in a dazzling display of holiday cheer. If you plan on making pumpkin or apple pie from scratch, then a trip to a local Pittsburgh-area farm where you can pick your own pumpkins or apples might be a fun family activity as well as the best option to stock for your Thanksgiving table. Most of the farms have fresh corn and other veggies grown throughout the year that you might want to pick up. However, you can also pick up some pre-assembled pies here that are ready to pop into an oven for Thanksgiving Day. When planning your meal, nothing says Pittsburgh more than an offering of haluski on the Thanksgiving table. Haluski is a Slavic egg noodle dish popular in the region. For those new to the area or visiting for the holidays, a traditional Pittsburgh Thanksgiving might not be complete without it. On the other hand, if you don't feel like cooking this year, there are plenty of restaurants in Pittsburgh that are open on Thanksgiving Day and many of them will be serving their own holiday feasts. You might even get lucky at some of these great restaurants and score a locally-made, authentic haluski to complete your meal. On a day to give thanks for all you have, giving back to the community can help others feel loved, welcomed, and cared for during a time when they are down on their luck or less fortunate. If you're visiting for the week and want to get involved in the local community, there are a number of holiday volunteer opportunities available in the Pittsburgh area. From serving meals at the homeless shelters around town to delivering groceries to disabled residents and senior citizens. you can make a big difference in someone's life this holiday season by volunteering through one of these local organizations. If you're already over all the fuss and mess of Thanksgiving and want to get back into the holiday spirit for Christmas, there are plenty of great places, events, and attractions around the Pittsburgh area that start celebrating the holiday as soon as the Thanksgiving table's been cleared. Christmas, Hanukkah, and other holiday traditions are apparent around every corner in the greater Pittsburgh area. Some of the top spots for holiday and winter fun include the Miniature Railroad and Village, holiday light displays, and local museums. Starting on Thanksgiving night, many of the Pittsburgh-area holiday light displays—from the Hartwood Celebration of Lights to the Winter Festival of Lights at Oglebay—open their doors for the season to dazzle visitors and residents alike. If you want to take the opportunity on your vacation to get your family it's own Christmas tree, it isn't hard to find a Christmas tree in and around Pittsburgh. Scouts, civic, and booster organizations, garden centers, and home improvement centers all carry a large variety of holiday trees for your home. Some of the best and freshest trees, however, come from the local Christmas tree farms.